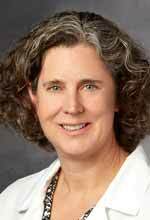 Catherine A. Blish, M.D., Ph.D., FIDSA, is an Associate Professor of Medicine and Immunology at the Stanford University School of Medicine. She received her M.D. and Ph/D from the University of Washington and completed residency in internal medicine and fellowship training in infectious diseases at the University of Washington and the Fred Hutchinson Cancer Research Center. She joined the Stanford faculty in 2011, where her research is dedicated to learning how to harness the immune system to prevent and cure diseases. Her lab is perhaps best known for redefining our understanding of the diversity of human natural killer (NK) cells, a critical first line of defense against viruses and tumors. Her lab continues to explore human natural killer cells sense and respond to a diverse array of pathogens, including HIV, dengue virus, and influenza. Project: Targeting Natural Killer Cells to HIV in Intravenous Drug Users: Dr. Blish proposes a novel approach to fight HIV by using natural killer cells to optimally target HIV strains transmitted through injection drug use. Current approaches focus on targeting HIV strains transmitted through sexual contact, which could differ in immune response properties unique to injection drug users. This approach could be valuable in the development of vaccines and therapeutics for HIV prevention and cure strategies. 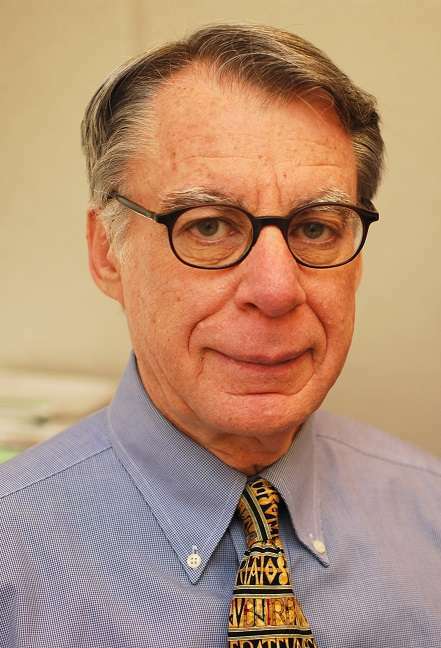 Nathaniel (Ned) R. Landau, Ph.D., is a professor in the Department of Microbiology at the NYU School of Medicine. He received his Ph.D. at MIT and did post-doctoral studies at UCSF. He has investigated the molecular mechanisms of HIV entry, the role of lentiviral accessory proteins and host restriction factors to HIV. At the Aaron Diamond AIDS Research Center, he discovered a genetic alteration that protects individuals from HIV infection which served as the basis for the development of HIV fusion inhibitors. He later joined the faculty of the Salk Institute. His current research focus is on the development of a therapeutic dendritic cell vaccine for HIV. He is an Elizabeth Glazer Scientist of the Pediatric AIDS Foundation and has been supported by the American Foundation for AIDS Research (afAR). Project: Therapeutic Dendritic Cell Vaccine for HIV: Dr. Landau proposes to develop a therapeutic vaccine that enhances the immune response against HIV so that patients can discontinue or reduce antiretroviral drug regimens. The long-term misuse of drugs including alcohol, methamphetamine and opioids is associated with suppressed immune responses. For such individuals, stimulation of an immune response via a vaccine could slow disease progression. Moreover, minimizing the need for treatment would be beneficial for those who may be less able to adhere to complex antiretroviral drug regimens. 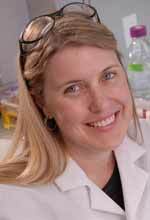 Sara L. Sawyer, Ph.D., is an Associate Professor in the BioFrontiers Institute and the Department of Molecular, Cellular, and Developmental Biology at the University of Colorado at Boulder. Dr. Sawyer received her Ph.D. from Cornell University in 2003 and then conducted postdoctoral research at the Fred Hutchinson Cancer Research Center until 2007. In 2011, Dr. Sawyer received a PECASE award from President Barack Obama for her research and mentoring activities. Dr. Sawyer has garnered international recognition for her studies of primate genetics and genomics, and how they facilitate viral infections both in the lab and in nature. Her lab continues to work towards an improved understanding of the primate animal models critical for HIV-1 vaccine development. Project: Hunting the HIV-1 Unicorn: Dr. Sara Sawyer proposes to open an exciting new platform for vaccine development. Currently, most HIV infections are HIV-1. A hindrance to HIV-1 vaccine development has been the lack of an effective animal model system in which to study transmission and develop vaccines. Dr. Sawyer proposes to harness mammalian genetics to identify an improved model, which could open up a whole new avenue of HIV/AIDS research. Michael Farzan, Ph.D. is a Professor and Co-chair of the Department of Immunology and Microbiology at the Scripps Research Institute. Dr. Farzan received his Ph.D. from Harvard Medical School, where he came up through the ranks to be promoted to Professor of Microbiology and Immunology in 2012. His work at Harvard and Scripps has focused on the entry processes of HIV-1 and other enveloped viruses, ultimately culminating in development of a novel HIV-1 entry inhibitor that can be combined with established gene therapy systems to provide vaccine-like protection in rhesus macaques. His lab is currently focused on optimizing this approach as a vaccine and therapy for HIV-1 infection, and on improving its safety by developing means to regulate its expression in vivo. Project: A safety switch for an effective HIV-1 vaccine: Dr. Farzan plans to use preclinical models to explore safe and effective gene therapies for the long-term prevention of HIV infection in high-risk populations, such as injection drug users. He will use an adeno-associated virus to deliver broadly neutralizing antibodies (bNAbs) or eCD4-Ig, proteins that prevent HIV-1 from infecting cells. His group will also explore safety switch mechanisms to control bNAbs and eCD4-Ig, thereby increasing safety during long-term exposure to these molecules. Eric M. Poeschla, M.D. is Professor of Medicine and Chief of Infectious Diseases at the University of Colorado School of Medicine, where he holds the Tim Gill Chair in HIV Research. He graduated from Yale Medical School and completed his clinical residency in internal medicine at UC San Francisco, followed by a fellowship in infectious diseases and molecular virology at UC San Diego. Before joining the University of Colorado, he was on the faculty of the Department of Molecular Medicine at the Mayo Clinic. His research group investigates the roles that cellular proteins play in viral replication cycles, including HIV-exploited factors and innate immune system factors that mediate frontline antiviral defenses and prevent cross-species virus transmission. They are interested in cellular systems that sense and respond defensively to viral RNA and DNA and also prevent autoimmunity to self nucleic acids. Project: Novel Approaches to Innate Immunity Against HIV-1 and Other Co-infection Viruses: Dr. Poeschla will use animal and human cells to explore the use of viral RNA-dependent RNA polymerase (RdRP) to enhance broad-spectrum (innate) immunity against various viruses, including HIV-1. Evidence suggests that this stable innate immune system activation does not trigger autoimmunity or inflammatory pathways. This approach may also protect against viruses that infect people with addiction. Peter S. Kim, Ph.D. is the Virginia & D.K. Ludwig Professor of Biochemistry and a member of the ChEM-H Institute at Stanford University. He is former President of Merck Research Laboratories (2003-2013) and earlier, Professor of Biology at MIT, Member of the Whitehead Institute and Investigator of the Howard Hughes Medical Institute. He is an elected member of the National Academy of Sciences, National Academy of Medicine and National Academy of Engineering. Dr. Kim is known for his seminal discoveries about how proteins cause viral membranes to fuse with cells and has pioneered efforts to develop an HIV vaccine based on stopping membrane fusion with antibodies. His lab continues in efforts to create vaccines against viruses including HIV and in understanding viral membrane fusion and its inhibition. Project: Making the HIV-1 gp41 pocket amenable to small-molecule drug discovery: Dr. Kim’s group proposes a strategy that alters the HIV-1 gp41 region, thereby increasing structural rigidity in this region. This will enhance testing of new therapeutics that target the gp41 pocket to prevent HIV infection. Because the pocket is structurally similar across different HIV-1 strains, these therapeutics could treat patients, including people with substance use disorders, who are at higher risk of developing resistance to one or more classes of anti-HIV drugs. Stuart A. Lipton, M.D., Ph.D. is the Hannah and Eugene Step Distinguished Professor and Chair in the Neurodegenerative Disease Center at Scintillon Institute in San Diego. He is also adjunct professor of Neurology and Neuroscience at the University of California, San Diego, The Scripps Research Institute, and Yale School of Medicine. Dr. Lipton was trained at Cornell University, the University of Pennsylvania, and Harvard University. Lipton completed his PhD thesis research, clinical residency, and a postdoctoral fellowship at Harvard. He is best known for first describing the mechanism of action and contributing to the clinical development of the FDA-approved Alzheimer’s drug, memantine (Namenda®), and for co-discovering the posttranslational redox modification termed S-nitrosylation. Lipton pioneered the study of the pathogenesis of HIV-associated cognitive disorder. In addition, his group also discovered the NR3 (now known at GluN3) family of modulatory NMDA receptor subunits, characterized the molecular pathways for protecting neurons with erythropoietin, and discovered the transcription factor MEF2C. They showed that MEF2C is also regulated by S-nitrosylation and serves as a master swtich for neurogenesis from human neural stem cells. Dysregulated MEF2C is involved in the pathogenesis of Parkinson’s disease, Alzheimer’s disease, Autism-Spectrum Disorder, and Vascular dementia. Project: Novel Proteomics Approach to HIV-Associated Neurocognitive Disorder & Drug Abuse: Dr. Lipton will study an innovative approach using new Mass Spectrometry (MS) techniques that allow unprecedented analysis of free radical-induced protein modifications, which are involved in the pathogenesis of of brain damage in HIV-associated cognitive disorder (HAND), methamphetamine drug abuse, and other neurodegenerative diseases. The work will identify biomarkers of the disease process as well as potential new therapeutic targets. Don C. Des Jarlais, Ph.D. is the director of research for the Edmond de Rothschild Chemical Dependency Institute of Mount Sinai Beth Israel. He is professor of Psychiatry and professor of Preventive Medicine in the Department of Psychiatry at the Icahn School of Medicine at Mount Sinai and a Guest Investigator at Rockefeller University. Dr. Des Jarlais received his PhD from the University of Michigan. Dr. Des Jarlais has extensive experience, with almost three decades of work in epidemiological research on HIV/AIDS and drug use in many different countries. His research has been quite productive, generating peer papers in the Lancet, New England Journal of Medicine, JAMA, Science and Nature. In addition to the Avant Garde project, his current research focuses on ending HIV (and hopefully HCV) epidemics among people who use drugs. Project: Combined Prevention to Reduce Initiation into Injecting Drug Use: Dr. Des Jarlais will lead a multi-component HIV prevention intervention study in two sites with growing concerns about heroin use — New York City and Tallinn, Estonia in Eastern Europe. Researchers will focus on combining a number of interventions with demonstrated effectiveness in reducing the number of drug users who transition to injection drugs. Eli Gilboa, Ph.D. is the Joe Enloe Dodson professor in the Department of Microbiology & Immunology, member of the Sylvester Comprehensive Cancer Center, and Director of the Dodson Interdisciplinary Immunotherapy Institute at the Miller School of Medicine, University of Miami. Her received his PhD from the Weizmann Institute in Israel and conducted his postdoctoral research at Massachusetts Institute of Technology in Boston. 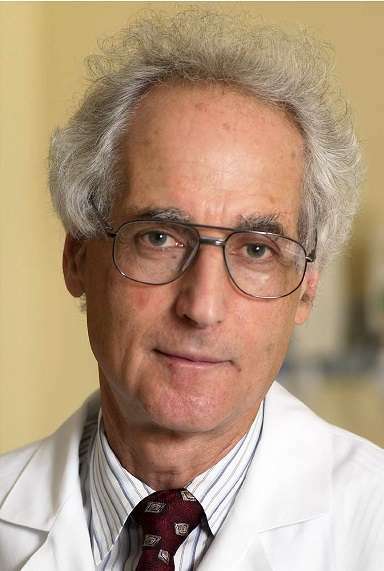 Dr. Gilboa is known for his pioneering work in gene therapy for genetic disorders, HIV/AIDS, and cancer. The current research in the Gilboa lab is focused on developing a combination of cell-targeted immune stimulatory treatments for HIV/AIDS and cancer using a novel nucleic acid aptamer drug and drug delivery platform. Project: Reversing HIV T cell Dysfunction by Aptamer Targeting of Therapeutic siRNAs: Dr. Gilboa proposes the development of novel drugs that successfully restore the function of T cells — important in immune response — and would have the potential to be therapeutically transformative for AIDS patients, including substance users in whom drugs further undermine their immune function. Nichole Klatt, Ph.D. Nichole Klatt, PhD, is an assistant professor in the Department of Pharmaceutics in the School of Pharmacy at the University of Washington (UW), where she joined as a faculty member in 2012. She is also an adjunct professor in the Molecular and Cellular Biology Program at UW and in the Program in Pathobiology, within the Department of Global Health at UW, and a core staff scientist at the Washington National Primate Research Center. Dr. Klatt received her PhD from Emory University in Immunology and Molecular Pathogenesis, and was also a visiting PhD student at the University of Pennsylvania in the Cellular and Molecular Biology program. Dr. Klatt performed her postdoctoral research in the Program in Tissue Immunity and Repair of the Immunopathogenesis section of the Laboratory of Molecular Microbiology, in the National Institute of Allergy and Infectious Diseases at the National Institutes of Health. Dr. Klatt’s laboratory studies mucosal immunity in the context of pathogenesis, prevention, and cure research in HIV infection, with the goal to develop novel therapeutic and curative interventions and prevention strategies for HIV. Project: Impact of Cannabis on Inflammation and Viral Persistence in Treated HIV/SIV: Dr. Klatt proposes development of HIV cure strategies by using non-psychoactive cannabinoids as potential therapeutic agents. Since cannabinoids, derivatives of cannabis, have been used to treat nausea and pain and have been shown to be anti-inflammatory in animal models, Dr. Klatt theorized that cannabinoids could be effective in reducing inflammation common in HIV patients. 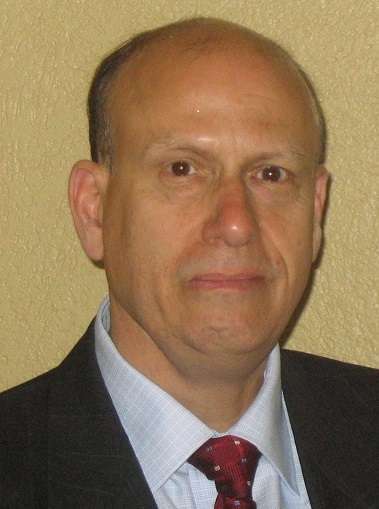 Alan D. Levine, Ph.D. is a professor in the Departments of Medicine, Molecular Biology & Microbiology, Pathology, and Pharmacology at Case Western Reserve University School of Medicine. 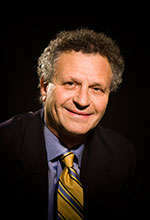 He is also the Chief Operating Officer of the Case/University Hospitals Center for AIDS Research (CFAR). Dr. Levine received his PhD from Yale University, conducted postdoctoral research at Stanford University with Nobel Laureate Roger Kornberg, and joined the faculty at Case Western in 1995. He is internationally recognized as an expert in cytokine biology, mucosal immunology, and T cell dysfunction in Crohn’s disease. His laboratory investigates cross-regulation among the triad of mucosal T cells, the intestinal epithelium, and the luminal microbiome, with a focus on microbial dysbiosis, intestinal permeability, epithelial tight junction regulation, and T lymphocyte activation and co-stimulation in HIV infection and inflammatory bowel disease. Project: Repairing the Intestinal Epithelium from the Dual Action of HIV and Drug Use: Dr. Levine will investigate the loss of intestinal barrier protection initiated by HIV infection and the resultant, systemic inflammation due to chronic exposure to gut-derived microbial products. This situation is exacerbated in the drug-abusing HIV infected population in whom drugs exert toxic effects on the gastrointestinal tract which synergize with HIV. 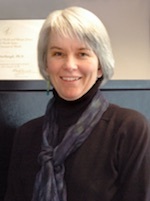 Julie Overbaugh, Ph.D. is a Full Member, Human Biology Division, Fred Hutchinson Cancer Research Center. The focus of research in the Overbaugh lab is on mechanisms of viral pathogenesis. Her lab studies several retroviruses, with a particular focus on those that lead to a prolonged chronic asymptomatic infection followed by eventual development of immunodeficiency disease (FeLV, SIV and HIV). Studies of her group focus on how the properties of the virus itself influence the eventual outcome of infection. These studies include a detailed analysis of the sequence and biological characteristics of viruses that spread from host to host. Her group studies process that contribute to persistence of these viruses once infection is established, and the processes of evolution and adaptation that result from selective pressures in the host, such as changes in cell tropism/receptor specificity and immune escape. Trainees in her lab engage in studies of viral evolution, virus-host cell interactions, and viral immunology. Project: Towards a More Relevant Model of HIV Infection: SHIV macaque models provide an important benchmark for preclinical HIV-1 research, serving as a gatekeeper for advancing vaccine and other prevention approaches. The ability of such models to predict intervention(s) that will be efficacious in humans depends to a large extent on how faithfully the model recapitulates key features of HIV-1 transmission and pathogenesis in humans, including both sexual and parenteral transmission. To date, SHIVs have largely been selected by trial and error using the most readily available HIV-1 variants, often those that have been adapted to replication in cell culture (lab-adapted HIV-1 variants). As a result, few SHIV models incorporate key features of naturally occurring viruses including those found in injection drug users. Dr. Overbaugh has found several barriers to HIV-1 replication in macaque cells that are specific to transmitted/founder (T/F) viruses circulating in humans. She also has found that IFN-stimulated responses have a pronounced effect on the replication of SHIVs encoding circulating T/F envelope variants in macaque T cells, but not on adapted SHIVs. In addition, the macaque CD4 receptor is generally a poor receptor for T/F variants, but it is a functional receptor for lab-adapted variants, which potentially explains the bias towards developing SHIVs based on lab-adapted HIV-1 variants. While T/F variants can be adapted to use the macaque CD4 receptor, adaptation leads to antigenic changes that alter recognition of several broad NAbs that are currently the centerpiece of HIV-1 vaccine efforts. Dr. Overbaugh proposes to define the mechanisms underlying the envelope-mediated restrictions to HIV-1 replication in macaques, to define the consequences of these changes for the utility of the model, and to identify pathways to developing rationally designed SHIVs with enhanced utility for preclinical studies of HIV-1 vaccine and prevention methods. Tariq M. Rana, Ph.D. is a Professor of Pediatrics and V/C for Innovation in Therapeutics at the University of California San Diego School of Medicine, where his laboratory studies RNA regulation of development and disease. Dr. Rana's laboratory has discovered fundamental structural and functional features of small RNAs required for gene silencing. In addition, his laboratory has uncovered mechanisms involving small RNAs and RNA-protein complexes in regulating host-pathogen interactions. 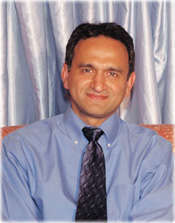 Dr. Rana received his Ph.D. from the University of California at Davis and he was an American Cancer Society fellow at the University of California at Berkeley. He was a Professor of Biochemistry and Molecular Pharmacology and founding Director of the Program in Chemical Biology at the University of Massachusetts Medical School, Worcester, Massachusetts, prior to joining the Sanford-Burnham Medical Research Institute in 2008. He held Sanford-Burnham Professorship and served as the founding director for the RNA Biology Program from 2008 to 2014. Project: Modeling HIV/AIDS Associated Neurological Disorders with Human Pluripotent Cells: Dr. Rana will use an innovative approach to better understand the molecular mechanisms of brain disorders caused by HIV and its interaction with the damage from the use of methamphetamine. This project will build miniature models of the brain — developed with stem cells — to investigate brain injuries caused by HIV that are associated with neurocognitive disorders and the interactions with methamphetamine exposures. Stephen Waggoner, Ph.D. is an assistant professor in the Center for Autoimmune Genomics and Etiology (CAGE) at Cincinnati Children's Hospital Medical Center. Dr. Waggoner received his PhD from the University of Virginia, conducted postdoctoral research at the University of Massachusetts Medical School, and joined the faculty at Cincinnati Children’s in 2013. He has garnered international recognition for his discovery that natural killer (NK) cells play crucial regulatory roles during persistent virus infection involving suppression of virus-specific T cell responses. His lab continues to explore the relevance of this phenomenon to chronic infection, vaccine efficacy, autoimmune disease, and age-associated immune dysfunction. Project: A revolutionary vaccine approach to prevent HIV infection in substance abuse: Dr. Waggoner’s group will play an important role in the ongoing science of HIV vaccine development. His project will focus on preventing natural killer cells from destroying activated helper CD4 cells, to strengthen vaccine effectiveness. The CD4 helper cells support the functioning of the immune system against infections, including HIV. A vaccine that enhances the immune system’s long-term ability to resist infection could enhance the antibodies against HIV and delay progression to AIDS in vulnerable populations. This will be particularly valuable among drug users who are much less likely to be treated and to have some of the worst outcomes. Heinrich Gottlinger, M.D. joined the Program in Gene Function and Expression at the University of Massachusetts Medical School in September of 2004. He received his MD from the University of Munich in 1983. From 1984 to 1989 he was a post-doctoral fellow, first at the Institute of Immunology, University of Munich, and later at the Dana-Farber Cancer Institute in Boston. Before joining UMMS, he was a faculty member in the department of pathology at Harvard Medical School. In addition to the 2014 Avant-Garde award, Dr. Gottlinger is also the recipient of a prestigious National Institutes of Health MERIT (Method to Extend Research in Time) Award. Project: Mechanism of HIV cell-cell transmission of relevance to substance users: Dr. Gottlinger will explore the roles of two specific proteins involved in HIV’s movement from an infected to an uninfected cell. Because this route of infection allows HIV to evade the immune system’s antibodies, a clearer understanding of this process can inform new strategies to prevent HIV and slow HIV disease progression. Such strategies could be especially relevant for injection drug users, who may be exposed to HIV through sharing syringes that contain infected cells. 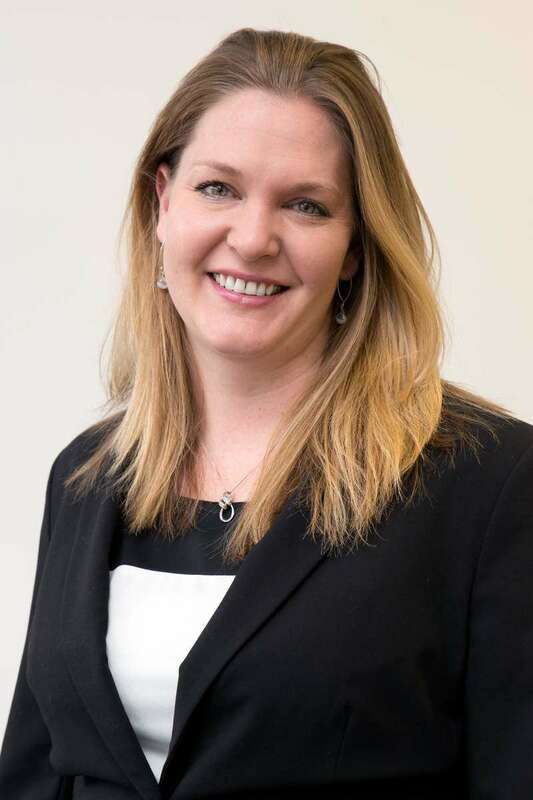 Melanie Ott, MD, Ph.D. is a Senior Investigator at the Gladstone Institutes, a research center dedicated to fundamental studies of virology and immunology, cardiovascular disease and neurology. She is also a Professor of Medicine at the University of California, San Francisco. Dr. Ott studies host-virus interactions with a focus on HIV transcription and the molecular mechanisms of HIV-associated chronic immune activation. Project: A new model of accelerated immune aging in HIV-infected drug users: Dr. Ott will investigate the role of an enzyme (SIRT-1) in slowing accelerated immune aging resulting from either long-term HIV infection or regular drug use. Because SIRT-1 appears to protect against overworked immune activation that can eventually exhaust immune cell functions, new therapies aimed at this enzyme could delay immune aging and its related health risks in HIV-infected drug users. Warner C. Greene, M.D., Ph.D. is Director, Senior Investigator, and Nick and Sue Hellmann Distinguished Professor of Translational Medicine at the Gladstone Institute of Virology and Immunology (GIVI), a research center dedicated to fundamental studies of modern virology and immunology with a focus on HIV and AIDS. He is also President of the Accordia Global Health Foundation, whose mission is to build alliances to fight infectious disease in Africa. Dr. Greene is also a Professor of Medicine, Microbiology, and Immunology at the University of California, San Francisco (UCSF). The ongoing research in Dr. Greene’s laboratory focuses on the molecular basis for HIV pathogenesis, transmission, and latency. Project: HIV without AIDS: A radically different approach to help the developing world: Dr. Greene’s research team is taking a unique approach to treat HIV infection -- rather than attempting to suppress the virus, they are investigating a way to modify how an animal model responds to the virus. By inhibiting the caspase I enzyme and preventing the inflammatory and immune responses that lead to the death of specific immune cells (CD4 T-cells) following HIV infection, their approach could prevent further CD4 T-cell loss that eventually results in clinical progression to AIDS. A single inhibitor could be significantly more cost-effective than combination antiviral therapies, providing a much-needed treatment option for vulnerable populations like injection drug users in the developing world, who likely have limited access to antiviral medications. 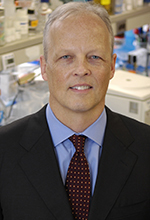 Richard Sutton, M.D., Ph.D. is Associate Professor of Medicine (Infectious Diseases) and of Microbial Pathogenesis at the Yale School of Medicine. He is a clinician-researcher who devotes about half his time to clinical duties and has the uncommon gift of being able to bridge the gaps between laboratory science and clinical issues. His research has focused on HIV replication and the development of small animal models of HIV; HIV vectors; HIV replication and gene transfer into non-dividing cells. He has used cutting-edge genetic methodologies to probe virus interactions host in HIV. Project: Host genetic control of HIV: Dr. Sutton’s research team plans to identify those rare genetic mutations that account for why a small percentage of HIV-infected individuals do not suffer any ill effects or need to take antiretroviral medications. Sutton will integrate a variety of techniques to isolate specific protective genes, including viral growth assays, the latest genomic technologies, and genetic analyses of family members (for example, siblings, parents, children, aunts, uncles, and cousins) to better understand inheritance patterns for these protective genes and to identify which variants are responsible for control of HIV. Timothy J Cardozo, M.D., Ph.D. is Associate Professor; Graduate Student Advisor; Course Director Department of Biochemistry and Molecular Pharmacology, New York University Langone Medical Center. He has broad research interests including molecular design, informatics, drug discovery, and HIV vaccine development. Dr. Cardozo has formed collaborations that span the fields of immunology, virology, bacteriology, biochemistry, cancer research, neuroscience, pharmacology and structural biology. His research has already contributed much to HIV vaccine research. His .work was among the first to identify epitopes hidden in the HIV sequence variable loops that are conserved across many HIV strains. He has brought a three-dimensional approach to integrating virology and immunology. Project: Combined cocaine and HIV vaccine: Dr. Cardozo’s group plans to test a combined anti-cocaine/HIV vaccine in animal models. The ultimate goal is to produce a clinical-grade vaccine, the prototype of which is sought by the end of the project period. A successful vaccine of this kind would treat cocaine addiction while preventing HIV infection in those receiving the vaccine. Compared to the general population, women and disadvantaged minorities show higher incidence of cocaine use linked to HIV infection. This combined vaccine could be a high-impact intervention for these populations. David Smith, M.D. is Associate Professor of Medicine, Department of Medicine, Division of Infectious Diseases, University of California, San Diego School of Medicine. He is a translational virologist and infectious disease physician who has contributed to our understanding of HIV transmission, superinfection, and virologic compartmentalization. He has been at the forefront of characterizing HIV transmission networks using molecular epidemiologic techniques. Project: Molecular epidemiology for HIV prevention for drug users and other risk groups: Dr. Smith’s group will develop a novel system that integrates information regarding patient demographics, geographic location, drug use, and HIV viral strain in order to map patterns of new HIV infections as they occur in real time. A successful system would allow for the quick delivery of tailored prevention resources to affected communities based on their unique characteristics (e.g., injection drug use or methamphetamine use and sexual transmission). The ultimate goal is to stop HIV clusters from developing or expanding, particularly among substance using populations. 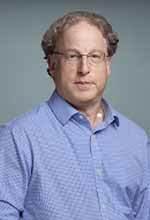 Samuel Friedman, Ph.D. is Project Director, Principal Investigator, Senior Research Fellow, National Development Research Institutes, New York, NY. He is one of the world’s leading experts on the epidemiology of infectious disease transmission in injection drug users (IDUs).He has developed and implemented new approaches for understanding the epidemiology of HIV among IDUs such as understanding the importance of social factors and networks in HIV transmission. Project: Preventing HIV transmission by recently-infected drug users: Dr. Friedman’s research team plans to identify people newly infected with HIV and link them to care, since the first few months of infection represent a period of high infectivity and risk behavior. Novel interventions that include community alerts and education within affected drug using and other social networks and venues, and efforts to prevent stigmatization of the newly-infected, will be developed and tested to prevent further spread within the community. Jeremy Luban, M.D. is Professor of Molecular Medicine and the David L. Freelander Memorial Professor in HIV/AIDS Research at the University of Massachusetts Medical School, Worcester, MA. He has made seminal contributions to our understanding of host factors that are important for HIV-1 replication or which confer immunity to the virus. Project: Human genes that influence HIV-1 replication, pathogenesis, and immunity in intravenous drug users: Dr. Luban’s group plans to develop new methods for studying the ways in which human genes can influence whether an exposed person will become infected with HIV or, if infected, how the disease will progress. These studies will guide future strategies aimed at preventing and treating HIV among drug abusers. 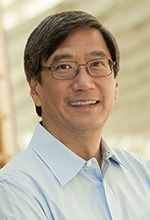 David D. Ho, M.D. is Senior Physician, Irene Diamond Professor, The Rockefeller University and Scientific Director and Chief Executive Officer of the Aaron Diamond AIDS Research Center. Dr. Ho has made seminal contributions to HIV/AIDS research and is an outstanding physician-scientist. In 1996, Dr. Ho’s leadership in the HIV/AIDS field was recognized by Time Magazine’s naming him ―"Man of the Year." Combination antiretroviral therapy consisting of orally administered, anti-HIV medications taken daily has revolutionized the treatment of HIV/AIDS. However, treatment failures continue to occur in a significant fraction of those treated, often due to incomplete patient adherence to the prescribed regimen. Dr. Ho aims to develop a revolutionary HIV therapy—with particular relevance for drug users who struggle with adherence—bi-specific or tri-specific antibody-like molecules that could be administered monthly. A once-a-month treatment would improve the feasibility of directly observed therapy, an evidence-based adherence intervention. Antibodies are not only well tolerated and have an excellent safety record, but can also be administered infrequently because of their long half-life. This research program has the potential to lead to the next generation of medications to treat HIV; medications that could dramatically increase patient adherence and lead to decreased treatment failures and better clinical outcomes. Eric M. Verdin, M.D., is a senior investigator and associate director of the Gladstone Institute of Virology and Immunology and professor of medicine at the University of California, San Francisco. Research in his laboratory focuses on the mechanism of HIV transcription. The long-term persistence of HIV in a latent state in patients treated with HAART prevents the eradication of the disease and forces patients to remain on HAART for their entire life. At this time, our understanding of how latent HIV infection occurs is basic. Dr. Verdin’s project aims to develop a new single-cell technology to examine how HIV latency is established and maintained, and how the virus becomes reactivated, in primary human lymphoid cells. By observing the fate of the virus in single cells, Dr. Verdin hopes to be able to devise novel strategies to eliminate latent HIV infection, or to restrict the latent pool to a size that can be controlled by the immune system. Benjamin K. Chen, M.D., Ph.D., assistant professor in the Department of Infectious Diseases at Mount Sinai School of Medicine, New York, is an investigator of exceptional vision and promise. He developed a methodology that enables visualization of fluorescently tagged HIV virus particles that may answer long-standing questions about cell–cell mechanisms of viral transmission. The understanding of how the HIV virus spreads among injection drug users is limited by a poor understanding of the first events that occur following HIV transmission. This research uses sensitive virus tagging approaches and mouse models with humanized immune systems to study the sequence of interactions between HIV-infected cells and uninfected cells. These studies may lead to the development of vaccines or other preventive approaches to inhibit these initial interactions that occur during intravenous transmission. Dana H. Gabuzda, M.D., is a professor of neurology (microbiology) at the Dana Farber Cancer Institute and Harvard Medical School, in Boston. She is a leading researcher in the areas of HIV molecular biology and pathogenesis, particularly neuropathogenesis. Her cutting-edge research has significantly increased understanding of HIV replication and pathogenesis. A major challenge in HIV research is to restore immune function in HIV-infected individuals. HIV infection depletes CD4 T cells, leading to immunodeficiency and death. Highly active antiretroviral therapy (HAART) restores CD4 T cell counts to normal levels in a majority of individuals who achieve suppression of HIV to undetectable levels. However, the magnitude of CD4 T cell recovery is variable, and many people on HAART have poor CD4 T cell recovery. The research will lead to a better understanding of the mechanisms that determine CD4 T cell restoration in IV drug abusers and other populations infected with HIV, and may identify new therapeutic strategies to improve restoration of immune function in these populations. Jonathan Karn, Ph.D., is a professor and chairman of molecular biology and microbiology at Case Western Reserve University, in Cleveland. He is a creative molecular biologist whose research on novel therapeutic technologies could have an impact on the HIV/AIDS epidemic worldwide. Most individuals treated with antiretroviral drugs have little to no detectable HIV in their blood; however, this does not mean that the virus has been cleared from the body. Unfortunately, the virus can reemerge, leading to renewed active infections when treatment stops or fails. This research will focus on finding natural mechanisms that could block HIV replication and provide long-lasting suppression of HIV. Rafick-Pierre Sekaly, Ph.D., co-director and scientific director of the Vaccine and Gene Therapy Institute in Port St. Lucie, Fla., is an internationally recognized leader in the field of human immunology and translational medicine, specifically the immune response to HIV infection. The HIV-1 reservoir is a small pool of persistent long-lived and latently infected resting memory CD4 T cells. Eradication of this HIV reservoir is one of the last steps to be conquered in order to develop a cure for this disease. Dr. Sekaly's research will probe for a mechanism explaining the existence of HIV reservoirs. His studies of pathways that can be targeted to purge HIV from its reservoir could ultimately lead to novel immunological interventions for the treatment of HIV. Ileana Cristea, Ph.D., assistant professor in the Department of Molecular Biology at Princeton University, Princeton, N.J., is a young investigator of exceptional talent and promise whose research creatively applies technology to address significant biological issues. She developed a methodology that allows tracking of protein localization and elucidation of interacting partners. Dr. Cristea applied this technology first to study the virus–host interactions for Sindbis fever (caused by a mosquito-borne virus) and has extended this technology to the study of other virus–host interactions, including human cytomegalovirus and HIV. The HIV virus contains relatively little genetic information. Therefore, it usurps much of the host’s cellular machinery for its own purposes. This study focuses on HIV’s ability to hijack key proteins involved in the regulation of gene expression. A strength of this proposal is its unique ability to perform a comprehensive screen of interactions between viral and host proteins. Jerome Groopman, M.D., professor of medicine, Dina and Raphael Recanati Chair at the Harvard Medical School and Chief, Division of Experimental Medicine at the Beth Israel Deaconess Medical Center in Boston. 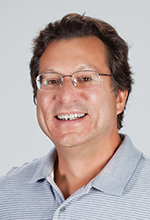 Dr. Groopman's research focuses on basic mechanisms of hematopoiesis, cancer, and HIV/AIDS. He is a renowned translational physician-scientist whose research provided key information on hematological abnormalities in AIDS patients early in the HIV/AIDS epidemic. He studied how HIV elicits immune responses suppressive of marrow stem cell replication and maturation and also conducted the first clinical trials demonstrating that colony-stimulating factors could restore cell number and function. Cells of the immune system form complexes (the immune synapse) that are very efficient at passing HIV to uninfected cells. This study seeks to develop agents that will block virus propagation from the immune synapse. This project has the potential to develop new therapeutics that block movement of HIV-infected cells throughout the lymphatic system. Julio Montaner, M.D., professor of medicine at the University of British Columbia and Head, Division of AIDS Canada; Director, British Columbia Centre for Excellence in HIV/AIDS, Providence Health Care; adjunct professor, Department of Psychiatry, University of California, San Diego. Dr. Montaner studies the role of HAART (Highly Active Antiretroviral Treatment) as HIV prevention at a population level. Immediate past president of the International AIDS Society, Dr. Montaner is a highly regarded HIV/AIDS clinician who performed pioneering work on the development of HAART therapy. He is now directing more of his research focus on HIV prevention. Preliminary evidence suggests that expanded HAART coverage among injection drug users will decrease new HIV infections within the population, including but not restricted to injection drug users. This project will test the existing evidence. If successful, it could lead to decreased sickness, death, and hospital utilization by injection drug users. The project’s results could have dramatic consequences for the control of the HIV epidemic around the world.